Since 1920, the La San Marco machines have marked the historical milestones of this century, developing with uninterrupted continuity the technology and performance of the field; a brilliant Italian name that has successfully exported the great espresso tradition all over the world and that now, through a consolidated organization and an efficient commercial network, is positioned among the top ranks of world manufacturers of espresso coffee machines. The Company's winning card has always been renowned performance of its products. 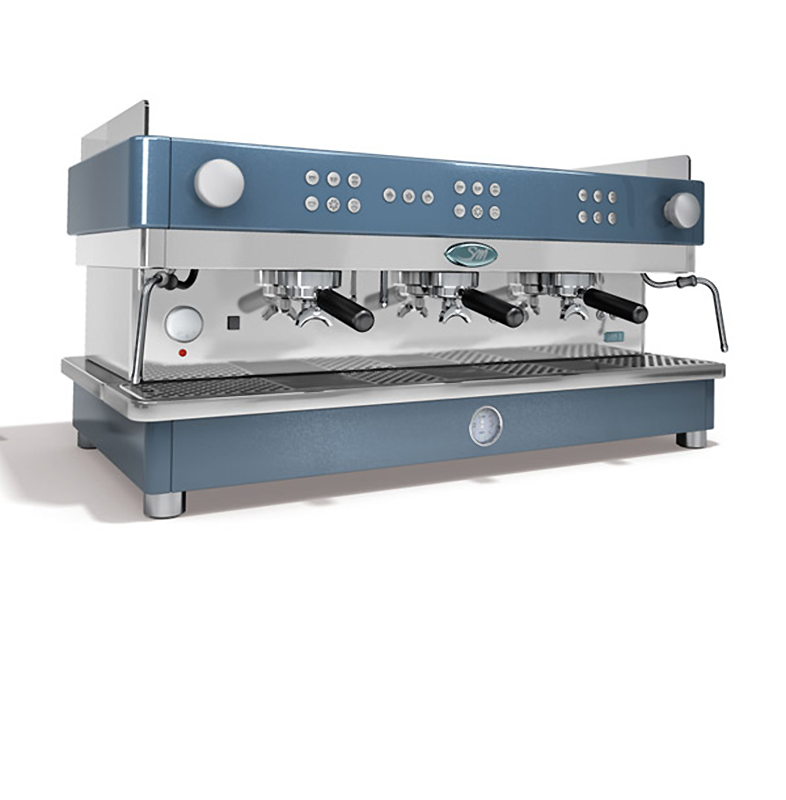 It is a pre-eminent position achieved thanks to a constant commitment to research for perfection, with the objective of proposing on the market increasingly evolved and competitive espresso machines. The Company proceeds in its growth, to continually reassert the prestige of its mark all over the world. You can visit La San Marco at www.lasanmarco.it. 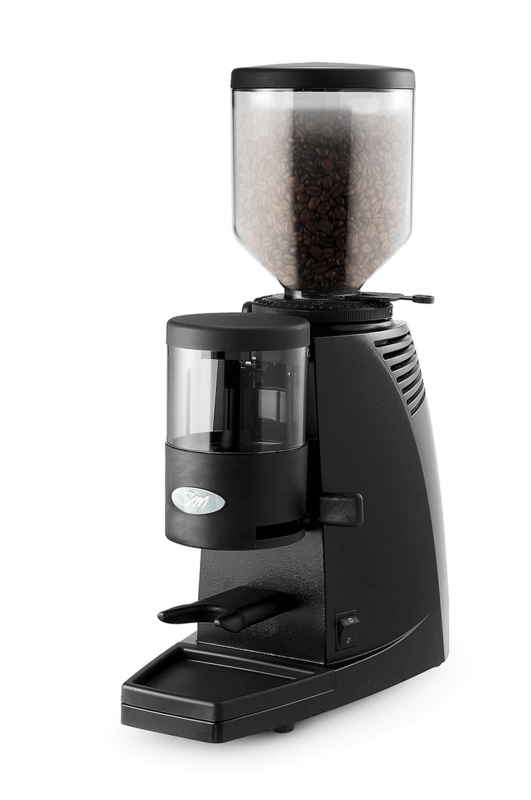 Model SM 92 and SM 97 are dosing coffee grinders with flat blades with functional characteristics that are conceived to perfectly meet different operating needs. Available in manual version, with timer and or automatic version. New intelligent technological grinding system by La San Marco. 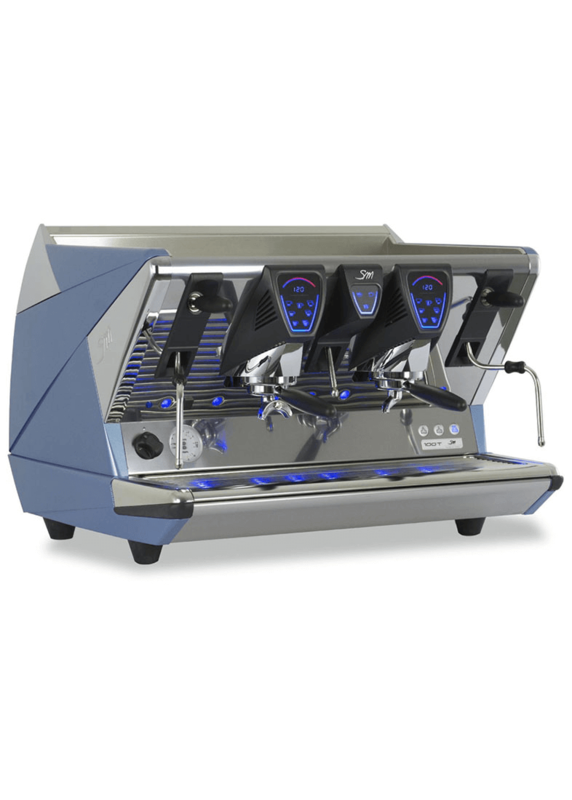 The new 3 models Smart Instant have an electronic system which detects which type of portafilter (filter handle) is used and once the portafilter is recognized, the exact single or double portion starts to be prepared automatically. Espresso coffee machines Series 105, designed by famous Sottsass Associati Studio, have been updated with the introduction of metallized colors and polished finishing. The flow variator gives the possibility to modify the brewing temperature. Aggressive look and metallic colors: these are the main aesthetic characteristics of 100 series that highlights originality and design unicity. Metallic colors and satiny finishing match perfectly. 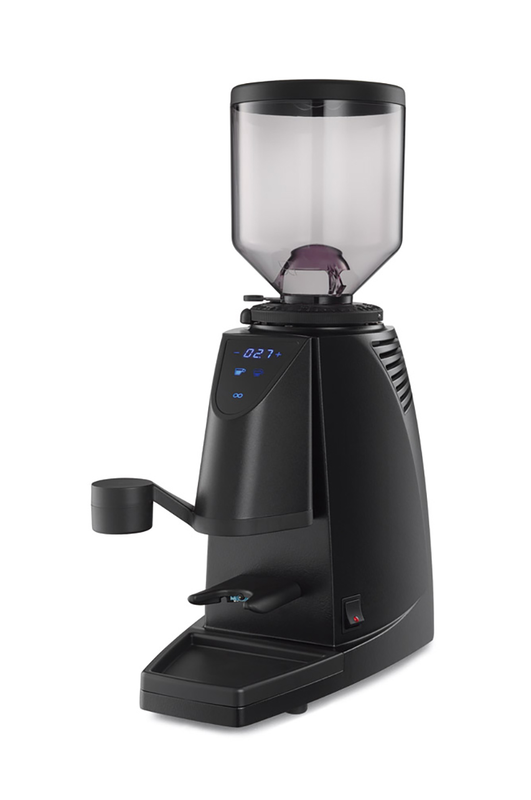 The flow variator gives the possibility to modify the brewing temperature. So flexible, so reliable. 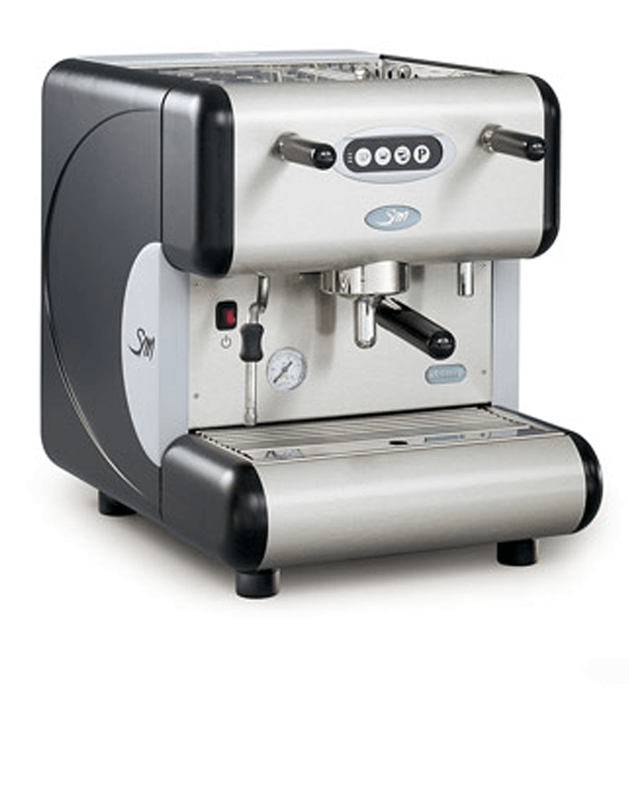 This espresso machine is flexible because it can be used with ground coffee, hard pods (E.S.E) and soft pods. It’s reliable because it guarantees a coffee with a thick and persistent cream thanks to an innovative brewing spout and because it is built with 85 series body universally known for its solidity.